Welcome to our page of adorable collectible miniatures. Thank you for stopping by and i hope youl'll find here what you are looking for. 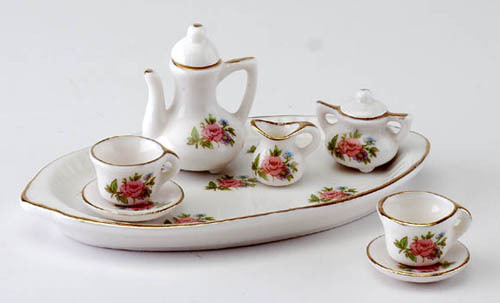 Genuine porcelain mini tea set. 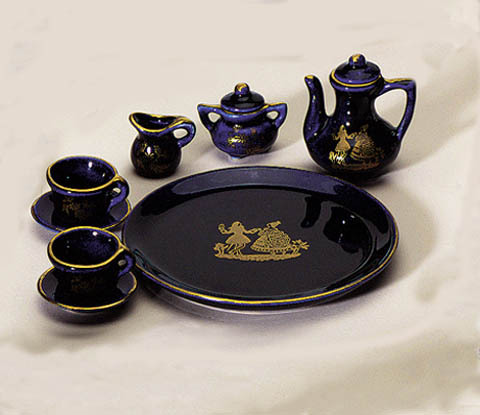 10 pieces, with 2 1/2" teapot. 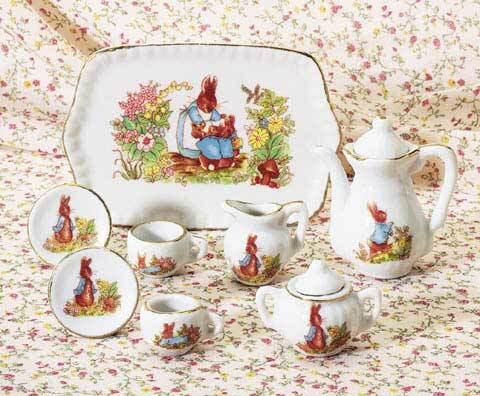 A ceramic tea set with delicate elaborate scenes of mama rabbit and her brood at home in the flowery meadow. 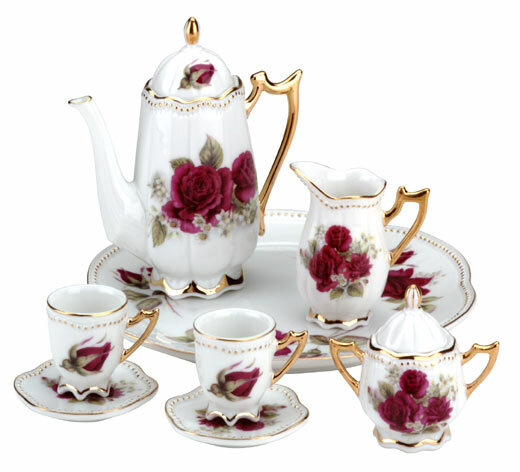 Includes teapot, tray, cups, saucers, creamer and sugar bowl. Tray is 2 3/4" high. 10 pieces. 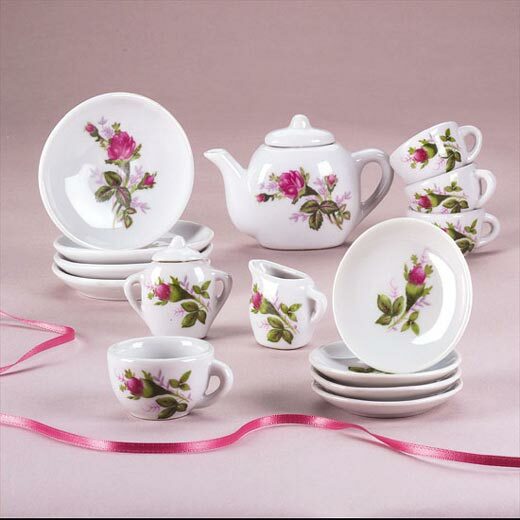 Floral design porcelain mini tea set, tray is 2 1/2" long. The cups are 3/8" high. Tea pot and sugar bowl are complete with lids. Tiny saucers and creamer round out the set. 10 pieces. 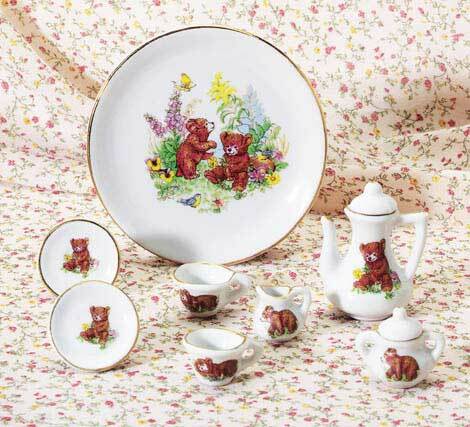 A tiny tea set with the cutest critters, adorable bear cubs frolic in the meadow as a colorful accent to each miniature piece. Plate is 3 3/4" high. 10 pieces. 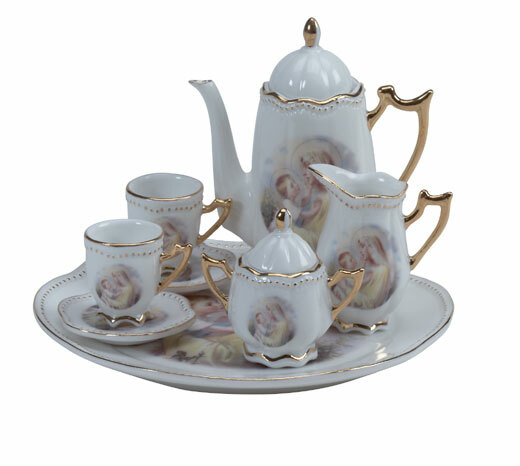 Tea set of genuine fine bone china. 10 pieces, 2 1/2" high teapot. 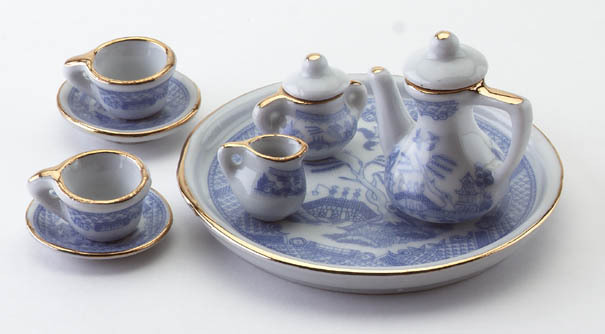 Miniature genuine porcelain tea set, 10 pieces, rare cobalt blue with gold trim and floral pattern. Includes 3 1/2" plate and 1 1/2" high teapot. 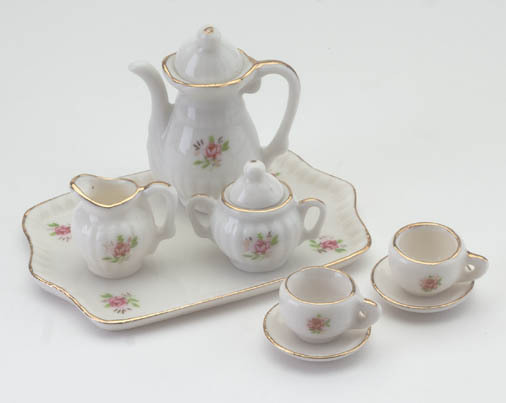 Miniature tea set made of genuine porcelain, the tea pot is only 1 1/2" high. The plate is 3 1/2" wide. 10 pieces. 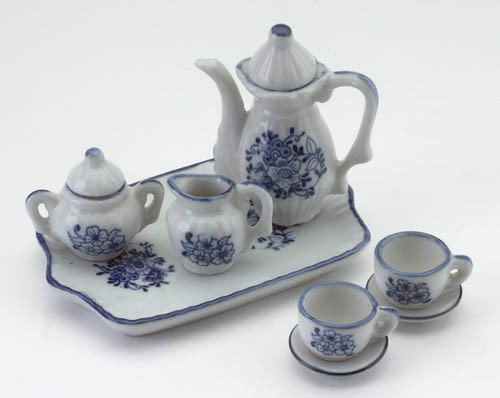 Porcelain mini tea set, includes plates, saucers and cups, tea pot, sugar bowl, and creamer. Cups are 1 3/4" diameter., 1" high. 17 pieces set. 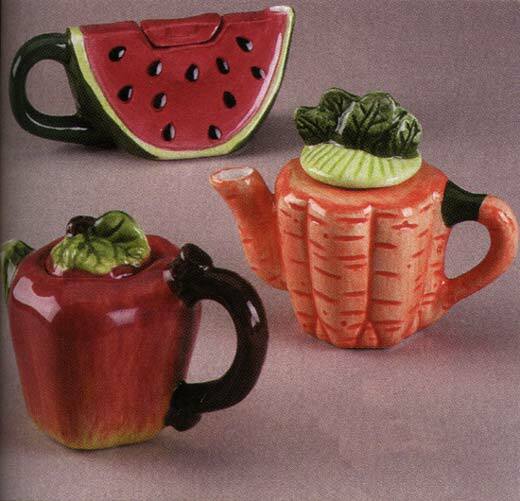 A delectable collectible, three miniature teapots in delicious designs. Dolomite, 3 1/2" to 4". Set of three.